Long Island used to be considered a great place to settle down and raise a family. That was before Buttafuoco and Frankenstorm. However, the thing that really freaked people out was the incident known as The Amityville Horror in a raft of books and movies. Now a grown man, the eldest son of the terrified Lutz family finally breaks his silence on their twenty-eight days spent at the notorious Ocean Avenue address in Eric Walter’s My Amityville Horror (trailer here), which opens today in New York at the IFC Center. Daniel Lutz is a heck of an interview subject. Not afraid of a little salty language, he sounds a lot like a typical Long Island knucklehead, until you hear his story. Although there is a fair amount of general skepticism expressed by others in the film, no one doubts his sincerity. Clearly, he never enjoyed being known as the kid from The Amityville Horror. Listening to him unburden himself in what appear to be staged counseling sessions, audiences might surmise the subsequent notoriety was as traumatic for him as whatever might have happened in the house itself. The same may well be true for the circumstances surrounding his mother’s marriage to his stepfather, George Lutz, whose name he was forced to adopt. 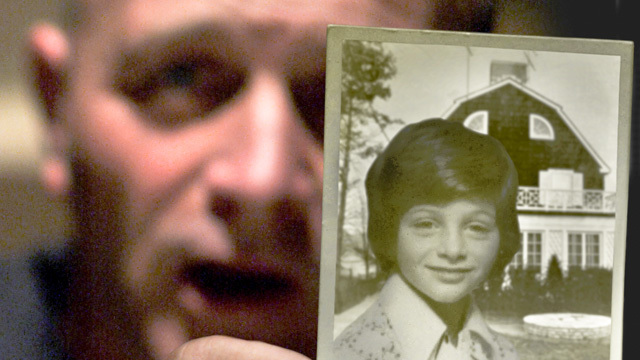 New Yorkers will be especially interested to learn the extent to which local channel five (now Fox 5) owned the Amityville story before Jay Anson’s “true story” novel and the release of the films. Appropriately, Marvin Scott (now with the City’s CW affiliate) appears at length, along with his former colleague, Laura DiDio. Having spent a mostly uneventful night there, Scott remains largely incredulous, whereas DiDio sounds like she gives it all considerably more credence. Scoring a series of interviews with Lutz was certainly a coup, but it is precisely that tension between belief and skepticism that really distinguishes Walter’s film from a History Channel special or DVD extra. Yet, the documentary still has plenty of creepy moments (particularly with regards to George Lutz and his alleged background with the occult), despite Walter’s level headed approach. Many viewers will likely conclude there was definitely something evil going on in that house, but whether or not it was supernatural is an open question. 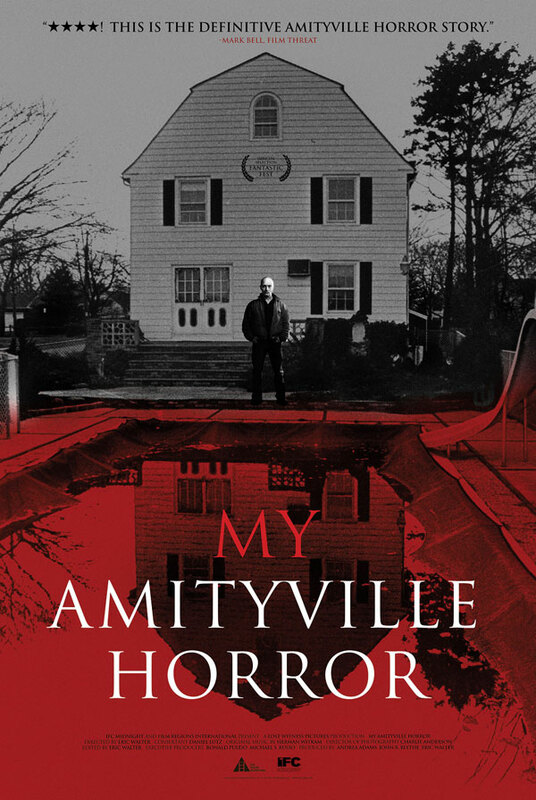 Even for us doubting materialists, My Amityville is fascinating stuff, featuring a truly compelling central character in Daniel Lutz. An intriguing nonfictional twist on the horror genre, it would make a strange but fitting double feature with either Rodney Ascher’s Room 237 (as a one-two examination of the cultural impact of well known horror movies) or Joshua Zeman & Barbara Brancaccio’s Cropsey (as the Long Island-Staten Island axis of real life horror stories). Eerie but entertaining and always open-minded, My Amityville Horror is definitely a satisfying doc for genre fans. Recommended accordingly, it kicks off a week of midnight screenings tonight at the IFC Center.